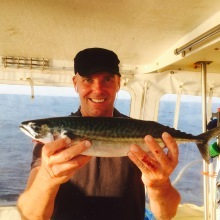 Sometimes when the mackerel hunts for smaller herring they force them up to the surface. 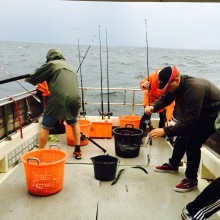 It looks like the water is boiling when the herring is trying to escape. It’s a frenzy also for the seagulls that dives into the baitfish. Popular for its good taste and as a strong fighter this fish is on everybody’s lips. 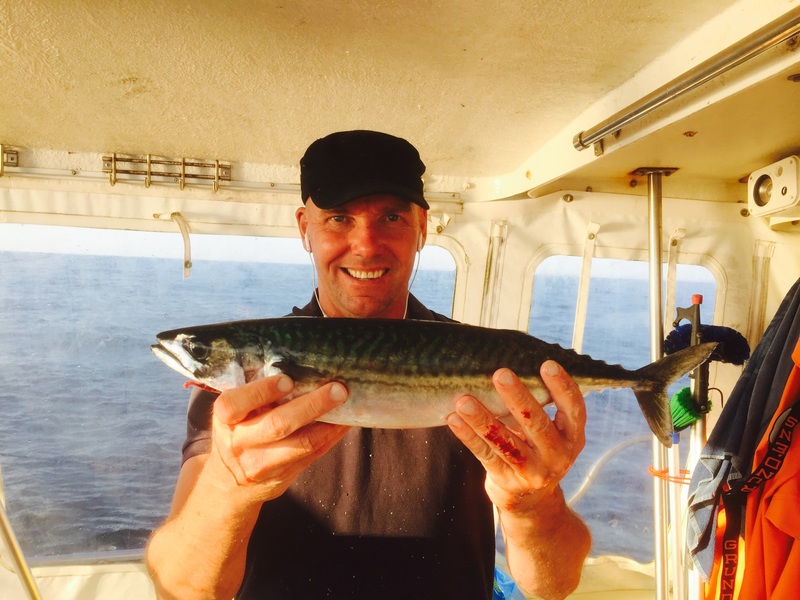 The mackerel arrives to the west coast of Sweden sometime in the end of May. They come here to gain weight and to breed. They leave again in the end of september to spend the winter down at greater depth north of England. 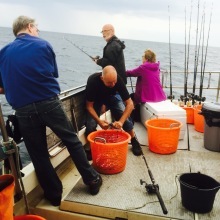 Bring your children, your grandmother and your friends and join us on a 3 hour trip where we teach you how to fish for mackerel with rod and tackle. All equipment is included. 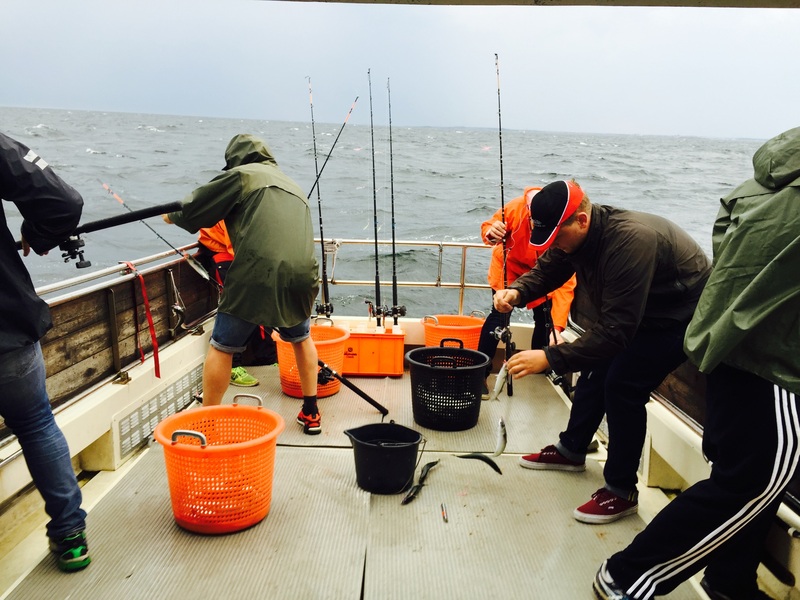 The fishing takes place around Hönö and Vinga in the archipelago of Gothenburg. Mackerel is a fish that swim in schools. When you are in the right spot it´s not unusual to catch a whole bunch of them at the same time. 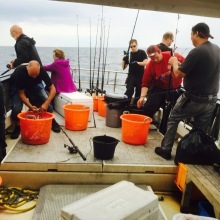 Each boat can take 10 fishermen. 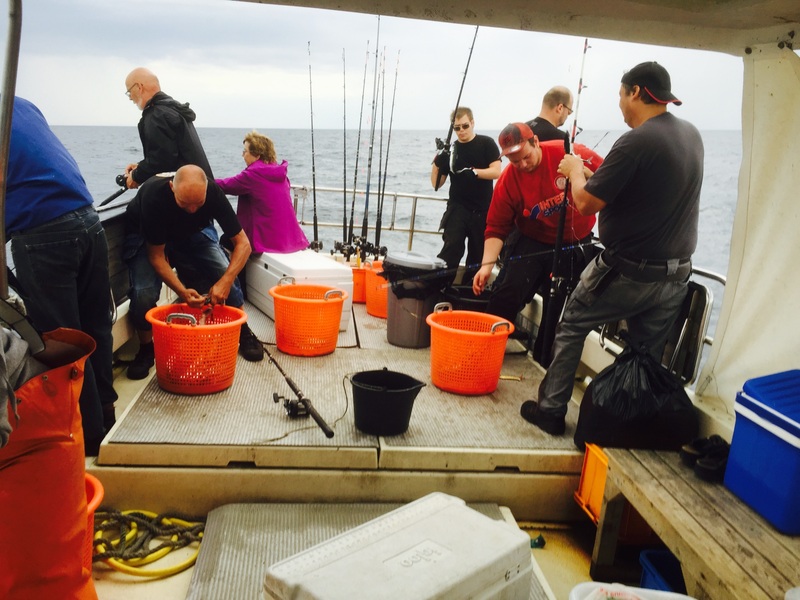 We use rods and tackle and we search the fish in known locations and with sonar. 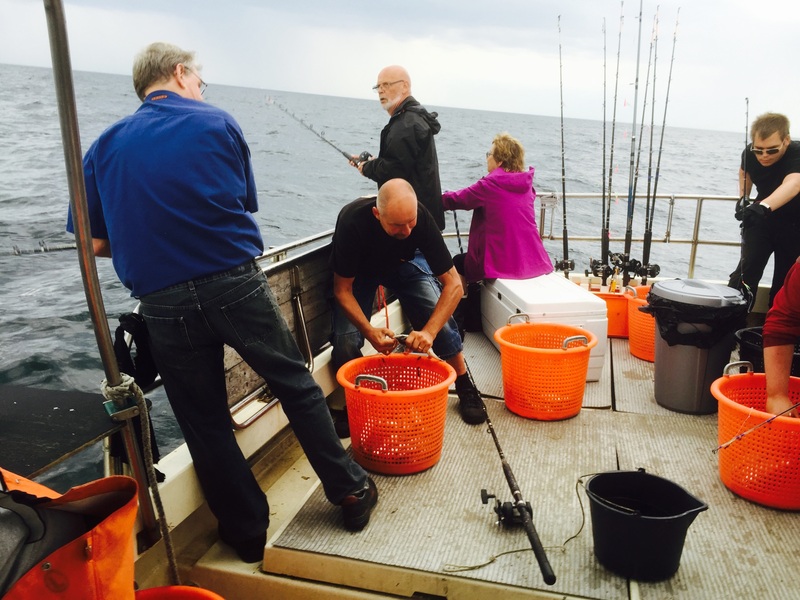 The fish you learn to clean and take home for dinner. This is to experience the West Coast for real.